Who is this medication for? What age is the user? Where is the user travelling to? When is the user travelling? How long is the user away for? Is the user taking any other medication? Has the user ever been diagnosed with kidney disease, liver disease, tuberculosis or ever had epilepsy, convulsions or fits? Maloff Protect is a form of malaria prevention medication, also known as malaria chemoprophylaxis. 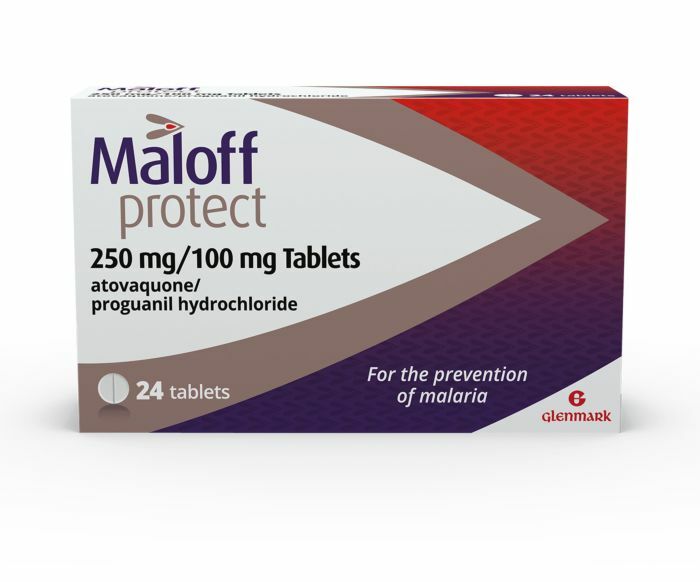 Maloff Protect's active substances are Atovaquone and Proguanil 250mg/100mg, which are the leading combination for malaria prevention in the UK. Both ingredients prevent the production of the P. falciparum parasite, which is the most serious form of human malaria. It will take up to 7 days for Maloff Protect to kill the malarial parasite after being bitten. However, this is only if the course of medication is completed and taken correctly. Otherwise, you will increase your risk of infection. Until now, this combination of ingredients for malaria chemoprophylaxis was only available with a doctor's prescription. However, with Maloff Protect, you can get the same protection direct from your pharmacist, making your travel preparations even simpler. The 24 pack is perfect if you are travelling for 1-2 weeks. Before you travel, ensure you have enough tablets for the needed dose. To find out more about malaria prevention, visit the Maloff Protect website or download the app. Ensure that Maloff Protect is suitable for the country or region you intend to travel to. Take 1 tablet daily with food or a milky drink at the same time each day. Please note: the maximum duration of travel for which Maloff Protect can be supplied without prescription is 12 weeks (93 tablets). For longer durations of travel, seek advice from your doctor. If you experience any of the above, speak to one of our in-store pharmacists or your GP. *Who is this medication for? *What age is the user? *Where is the user travelling to? *When is the user travelling? *How long is the user away for? *Is the user taking any other medication?